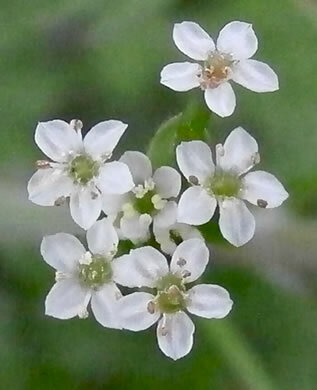 Leaves ternately decompound, the divisions pinnately divided and redivided, per Wildflowers of the Southern Mountains. 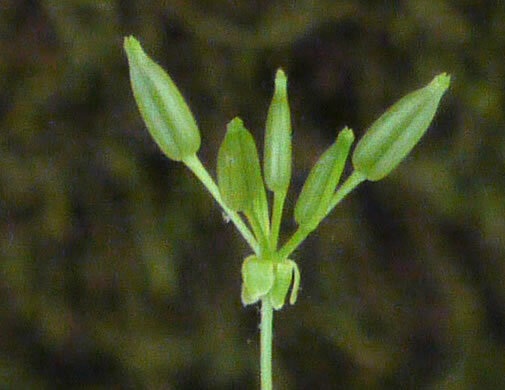 Petiole sheath ciliate, per Vascular Flora of the Carolinas. 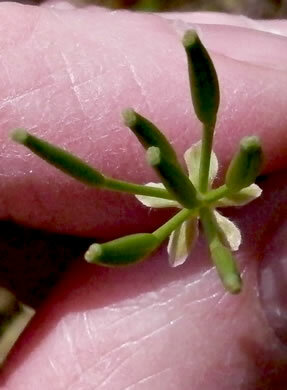 Involucel bractlets 3-5, ovate, ciliate, per Vascular Flora of the Carolinas. 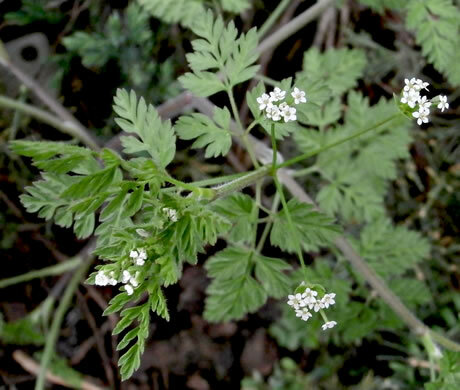 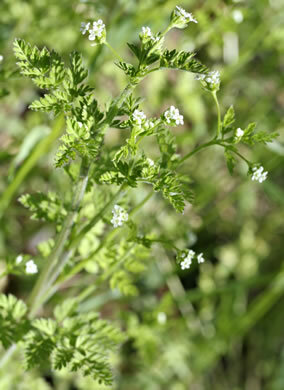 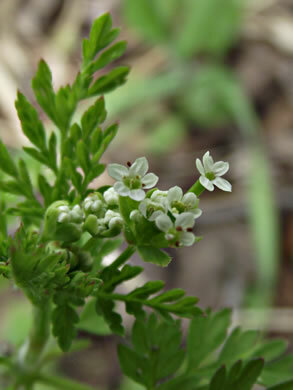 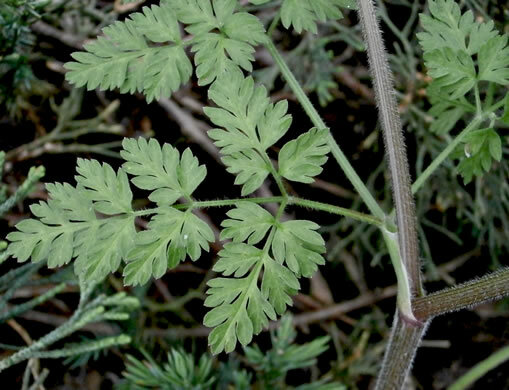 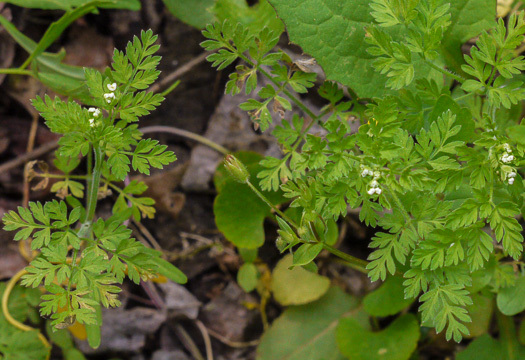 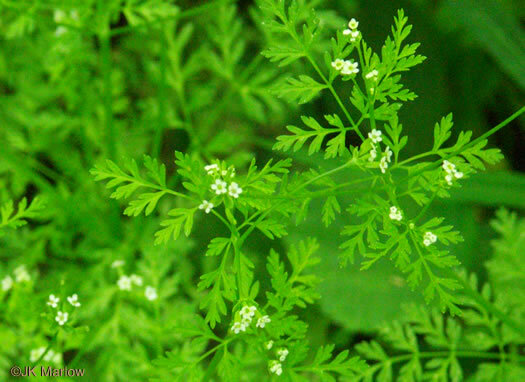 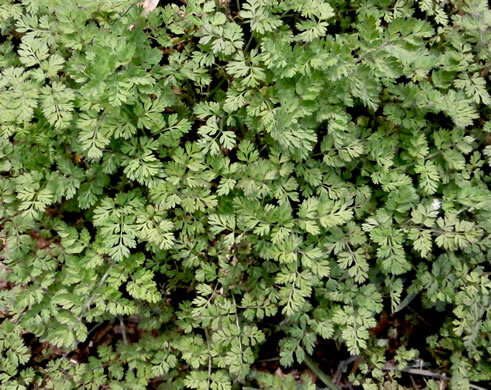 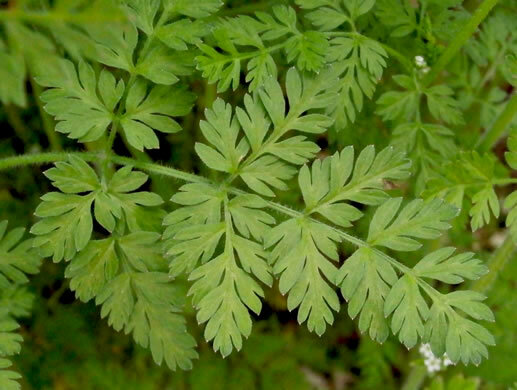 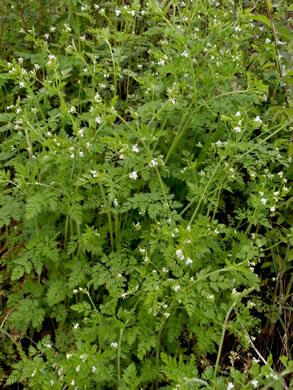 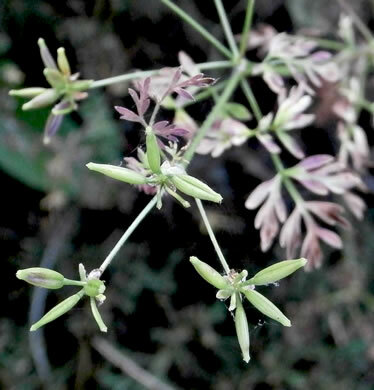 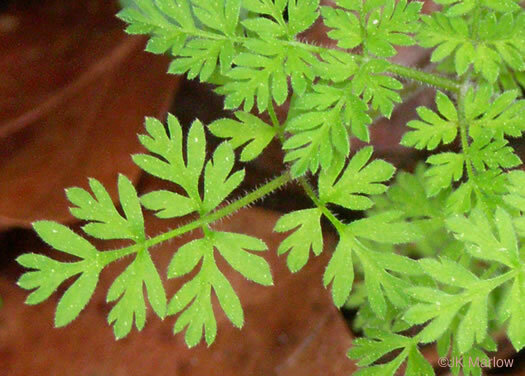 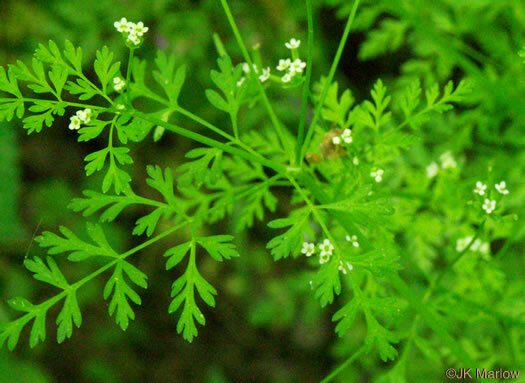 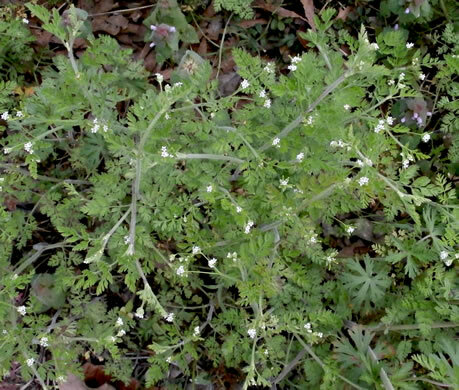 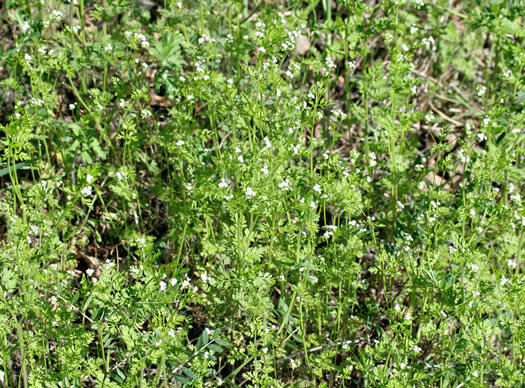 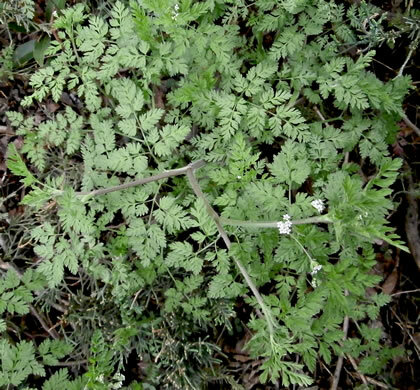 Umbels compound; peduncle usually obsolete; rays usually 3, per Vascular Flora of the Carolinas. 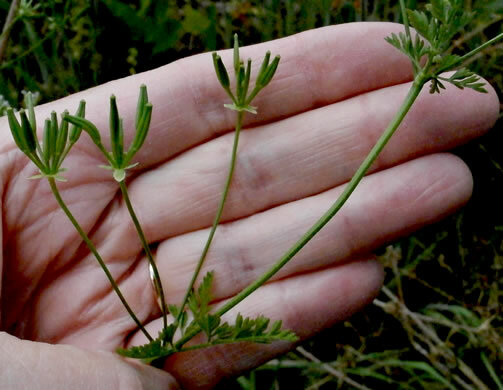 Fruit narrowly ovoid, elongate. 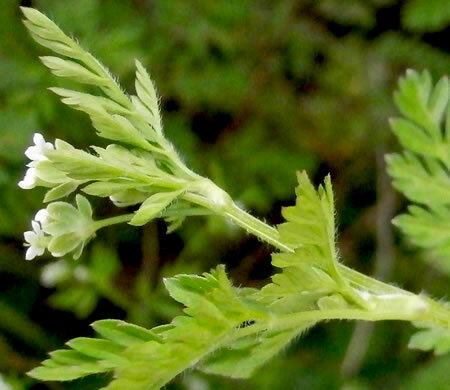 Involucel bractlets strongly reflexed in fruit, per Vascular Flora of the Carolinas. 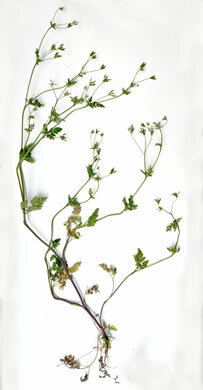 Hairy, erect, branched above (vs. C. procumbens: smooth, branched from base), per Wildflowers of the Southern Mountains.